A selection of what I consider to be the best hotels in Cuba. Here is a glimpse of some hotels that I particularly like in Cuba. They are not necessarily luxurious or the most expensive. Generally, I prefer Cuban hotels to have a historic feel and Cuban ambience within a charming setting. 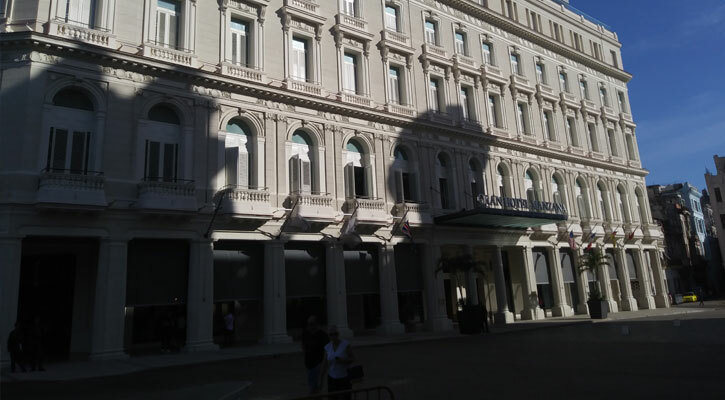 Five star hotels in Havana include the Hotel Saratoga, Hotel Parque Central, Hotel Melia Cohiba and Hotel Melia Habana (both modern architecture), Hotel San Felipe in old Havana and Hotel Santa Isabel, both historic boutique hotels in old Havana. 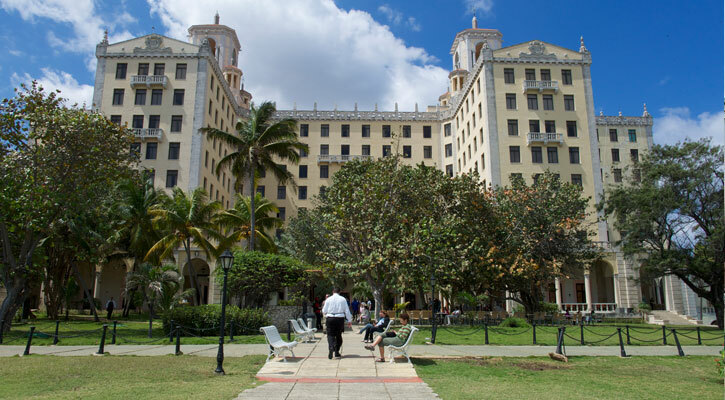 Four star hotels include historic hotels such as hotel Capri (1956) in Vedado, Hotel Sevilla Biltmore in Prado, old Havana, the delightful Habaguanex small historic hotels in old Havana including Hotel Conde de Villanueva, Hotel O'Farrill, Hotel Florida, Hotel Santander. This Cuban hotel chain also has a modern 15 bedroom hotel on the seafront, El Malecon, called El Terral. In construction is a large hotel, La Manzana de Gomez which will be run by the Kempinski group and will probably be Cuba's most luxury hotel when it is finished. Other hotel recommendations in Cuba include Hotel La Ermita in Vinales, Hotel La Union and Hotel Jagua in Cienfuegos, Hotel Grand Trinidad in Trinidad. Good all inclusive beach resorts include Hotel Melia Paradisus and Hotel Paradisus Princesa del Mar in Varadero, Hotel Melia Cayo Largo in Cayo largo island, Hotel Melia Cayo Coco in Cayo Coco island, Hotel Buena Vista in Cayo Santa Maria island. Small beach hotels that are a rarity in Cuba include the Hotel Cayo Levisa on Cayo levisa island. Hotels are now in high demand in Cuba since American visitors have arrived in Cuba due to a relaxation of US laws against travel to Cuba. Our opinion: The newst boutique Hotel. With a luxury shopping center on the bottom the hotel is designed for the expensive pockets. The Grande Dame of Cuba. View of the sea. lovely gardens, good cocktails, cigar shop, swimming pool, gym, business centre, executive floor with its own check in counter, cambio. Our opinion: The ultimate hangout for the Cigar aficionado. 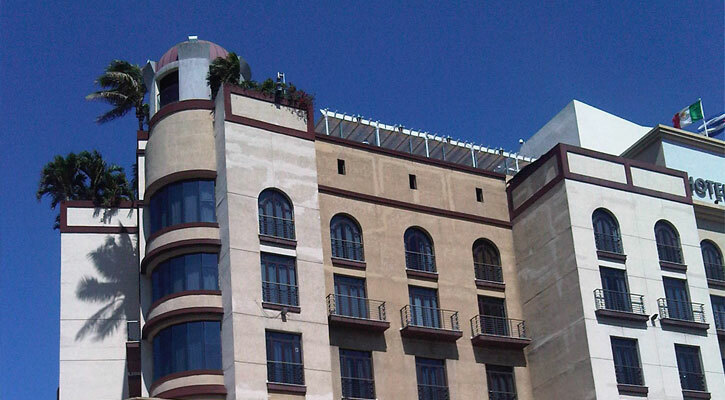 Rooftop swimming pool, restaurants, bars, a/c in all rooms, cigar shop, gym, suites available, doctor, business centre. 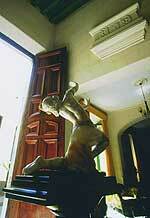 Our opinion: An excellent hotel in the heart of old Havana with good service and facilities. Former Count's Palace superbly converted into 9 bedroom cigar hotel with restaurant and bar. All rooms have air conditioning and full bathrooms. Junior suites available. Casa del Habanos cigar shop with lockers to rent for VIPs. Our opinion: one of the most charming hotels in Cuba with homely staff and a beautiful courtyard. A colonial building converted into this splendid 27 bedroom hotel with restaurant, bar, a/c in all rooms, suites available. Our opinion: A delightful 'boutique' hotel right in the heart of old Havana with lovely furnishings. Varadero, overlooking the ocean, on the beach and adjoinig the international golfcourse. A unique 6 bedroom mansion originally owned by the American magnate, Irenee Dupont, who built it with no expense spared in the 1930's. Many Hollywood stars stayed here. A la carte restaurant, good wine cellar, Mirador bar, a/c in bedrooms, suite available, next to Varadero international golf course. Our opinion: a unique beachside residence, old fashioned luxury, like having your own home, something different for the discerning. There is nothing like it in Cuba. Las Terrazas ecological reserve, 1 hour from Havana. Charming small hotel set in natural reserve with spacious bedrooms all with full bathrooms and a/c. Restaurant, bar and swimming pool. Guided nature tours available. Our opinion: This makes an ideal break from the bustle of Havana. Vinales Valley, Pinar del Río. 3* hotel with simple but comfortable rooms with full bathrooms, stunning views over the valley. Restaurant, bar and swimming pool. Our opinion: A spectacular location and ideal for visiting the tobacco plantations, horseriding or relaxing in beautiful surroundings. All inclusive hotel with swimming pool mostly used by scuba divers. A/C in all rooms. Diving centre. Our opinion: An ideal hotel to explore the fascinating diving sites nearby. Casas Particulares (Cuban private homes or guest houses) have proliferated all over the island. They offer a unique way to interact with the Cuban people and represent good value. Amenities include private bathrooms and air conditioning. Some homes have been compared to 5 star hotels for service and quality. A 1950's penthouse in Vedado, Havana, a handsome 1940's villa with 6 bedrooms in different colours, a suite and terrace in old Havana, a mansion with swimming pool in Miramar – these are some of the special places that are popping up. Why not stay some days in a hotel and some days in a casa?